One afternoon in October I looked in the mirror after a long day of work and realized how fed up I was with the way my skin was looking. I would start the day looking fresh and liking my makeup, but by 5pm I looked cakey, tired, and a little like a mess. I made a spur of the moment decision to pop into Blue Mercury on my way home and have been so pleased with my switch in skincare products. With the change in weather my skin had become increasingly dryer. I always had a decent amount of dry patches but with the new season the dryness became an overall problem. My makeup was flaking, sitting on top of my skin, and overall not blending well. The lovely manager at Blue Mercury was quick to help diagnose why my skin was having issues and knew right away what products would help. She suggested Ren Skincare (it's natural, fragrance free, and super gentle on my fairly sensitive skin) and instead of an exfoliate in scrub form she recommended the M-61 exfoliating pads. That night I went home and cleansed my skin per usual and after my shower I used the exfoliating pads followed by a drop of the Ren serum. My last step was to moisturize and I was ready for bed. (I only use the exfoliating pads twice a week so my routine is super simple but incredibly effective.) Only after a few days of my new routine I noticed an immediate change in my skin and the texture of my makeup. 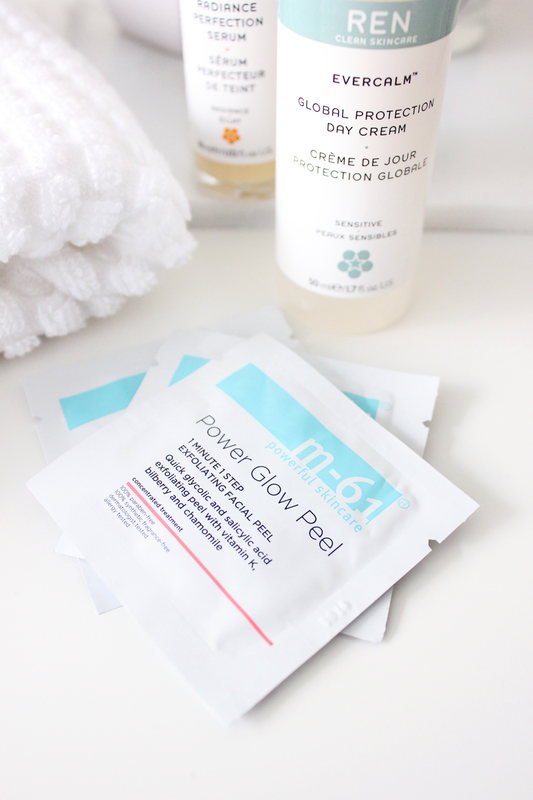 It was one of those super exciting moments where a skincare recommendation had actually clicked and worked so well with my skin type. 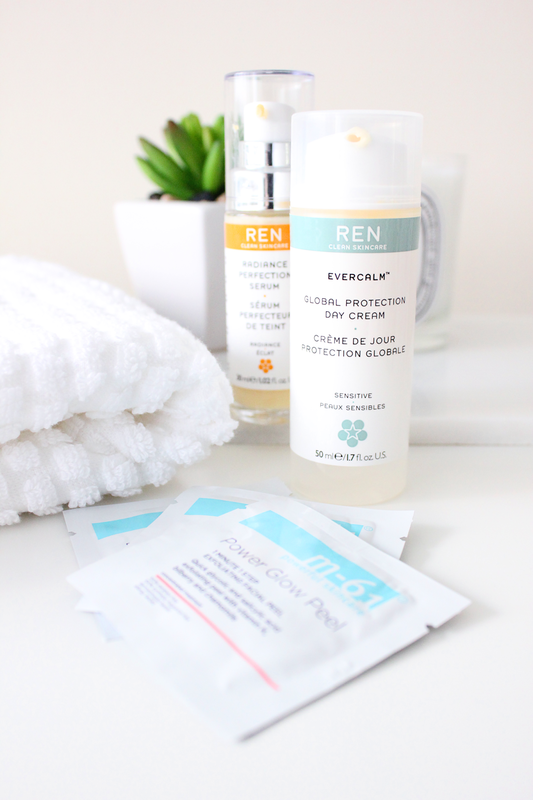 Have any of you used Ren products before? What is your Fall/Winter skincare routine?